Are you adding new gutters and gutter covers to your home this year? Are you considering new gutter installation for your home? If your gutters are old, warped, and sagging, you need new gutters. If your gutters are often clogged, corroded, and have a hard time draining, you’ll need to look at your gutter installation options. When you’re considering gutter installation, what types of installation are there? measure your home and ensure that you get gutters that are the right size to fit your home. ensure that you have the right size of gutters for your home so that you ensure that all of the water drains off your roof. confirm that you install the gutters at the right pitch so that water drains easily from the gutter into the downspout. make sure that your gutters attach neatly to your home, without the potential for leaks behind the gutters or gaps between the different pieces of gutter material. If you do it yourself, be sure to pay attention to the details, since they’ll make or break your gutter project. Poor gutter installation can be problematic for your home and your landscaping. Historically, putting together gutters has been a puzzle. With specific lengths of gutter on hand, your gutter installer works to piece them together until they are the right size for your home or building. Sectional gutters have seams where they meet, often at the junction of 20-foot sections. Since they’re an off the shelf product, they’re easy to buy and less expensive than other gutter products. However, each seam is a weak points in your gutter system because they’re prone to warping, sagging, leaks, and corrosion. 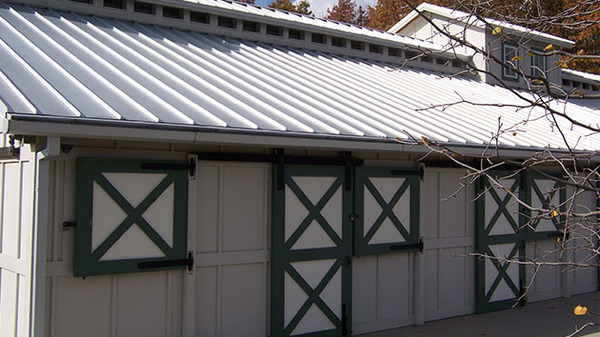 Seamless gutters are designed and fabricated specifically for your home. They have no seams or areas of weakness that sag or corrode. Since seamless gutters are not a DIY product, they require professional gutter installation. They are more expensive than other gutter products, but the initial investment pays off since these gutters have fewer problems over time. The material you’ll use, such as aluminum, copper, steel, vinyl, and zinc. Each material looks different, costs a different amount, and is more or less easy to clean. For example, aluminum is light and rust-proof and steel is incredibly strong. The gutter style that works for your building. 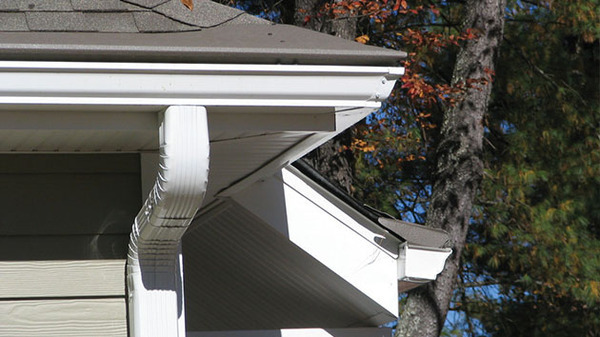 K-style gutters have flat bottoms and backs and look like crown molding. Half-round gutters are rounded and often found on historic buildings. The size of gutter you need. In most areas, a 5-inch gutter has enough capacity and a 6 inch is too large and could lead to ice build-up in the winter. However, if you experience heavy rainfalls, you may need that 6-inch gutter since it has almost twice the capacity of the 5 inch. The number and size of your downspouts. Common downspout sizes are 2×3 and 3×4. The size and number of your downspouts influence the amount of water that actually leaves your drainage system at any given moment. Do gutter installation right the first time. Avoid gutter cleaning fees or gutter maintenance emergencies. When you’re planning your gutter installation, do it right the first time. Determine what size or gauge of gutters your home requires so that you have the right capacity for your area. Make sure that your gutters are installed correctly so that there are no leaks in the gutter system. Get gutter covers so that your gutters won’t get clogged with leaves and sticks. Add a gutter heating system so that your gutters flow well even when the winter gets cold. When you add the right gutter system to your home in the right way, you’ll be able to rest easy knowing that your home is well-protected. At Harry Helmet, we’re here to see you through your gutter installation and far beyond. You know that you can rely on us to be there to answer questions about gutter products and troubleshoot your gutter installation and gutter covers. Contact us today to schedule an appointment and learn more about how our company can protect your family’s home from water and landscaping damage with new gutter installation.